Let them eat… cockroaches? In an effort to address world hunger, the Food and Agriculture Organization of the United Nations recently published a report suggesting that insects are a viable source of protein for humans, animals and pets. The report picks grasshoppers, ants and other bugs as protein-packed meat substitutes that are less harmful to the environment than traditional meat. Eating insects is fairly common in many cultures around the world. Locals nosh on delicacies like caterpillars in southern Africa and weaver ant eggs in Southeast Asia, sometimes paying top dollar for the privilege The Food and Agriculture Organization’s report concludes that since 2 billion people already include insects in their diet, the little buggers should be considered a regular part of our food source. According to the report, insects are high in fiber, copper, iron, magnesium, manganese, phosphorus, selenium and zinc, as well as energy providing protein, with some being comparable to lean red meat or broiled fish. 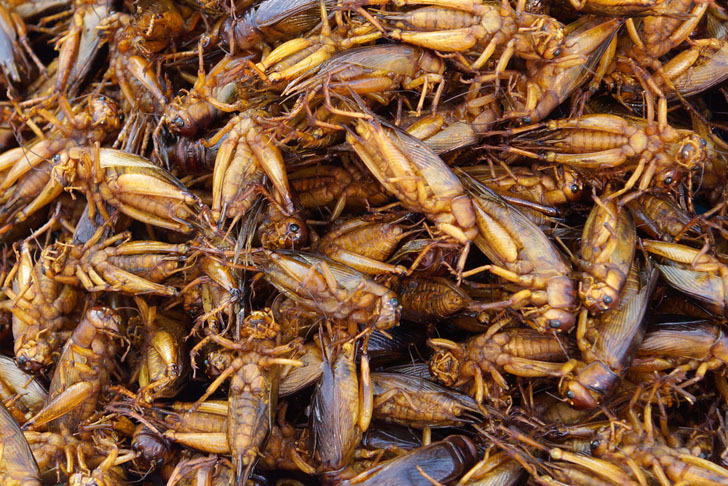 The UN agency’s Edible Insect Program is analyzing the nutrition of common insects, as well as arachnids, as food sources for undernourished populations around the world. Insects are plentiful, easy to gather, and provide little environmental stress or gas emissions. 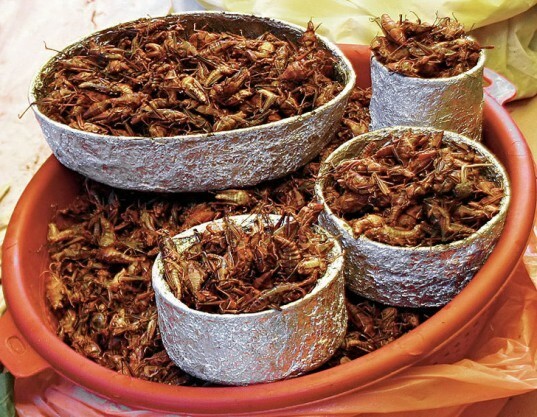 Combined with their high nutritional value, the UN’s Edible Insect Program hopes to put beetles and crickets on the breakfast table. Would you consider going insectatarian? Got a better idea. Raise more chickens!! They eat the bugs, we eat eggs and them. Looks like a double win for real humans and a big set back for liberal vegans!! Grind them into a sausage or burger patty and that'll make it easier for most westerners to stomach the critters, since they won't have dozens or hundreds of little heads looking up at them from their plate.